GEYSERVILLE, Calif. – After a successful Malbec smackdown between the best of Washington and Argentina, we decided to try something similar with Cabernet Sauvignon between Washington and California. In September, I approached Mike Dunne, a longtime friend who also is the wine columnist for The Sacramento Bee. After a bit of wrangling, we decided to narrow the focus to specific American Viticultural Areas. Mike chose Napa Valley, and I decided on the Horse Heaven Hills, a relatively new AVA approved in 2005. Not long after, we approached syndicated wine writer Dan Berger to join the fray, and he took Sonoma County. The first vineyard was planted in 1858, and the region has been famous for more than a century. Today, more than 19,000 acres of Cabernet Sauvignon are planted. Napa Valley is relatively small at 505,000 acres. Within Napa Valley are 16 sub-AVAs, including such famous districts as Oakville, Rutherford, Yountville, Stags Leap, Howell Mountain, St. Helena, Oak Knoll and Calistoga. The first grapes were planted in 1812, and the wine industry has been established since the 1850s. Today, more than 11,000 acres of Cabernet Sauvignon are planted. It is a large area at more that 1.1 million acres. Within Sonoma County are 16 sub-AVAs, including such famous districts as Alexander Valley, Dry Creek Valley, Chalk Hill, Russian River Valley, Sonoma Coast and Sonoma Valley. The first grapes – Cabernet Sauvignon – were planted in 1972. Today, just 3,635 acres of Cabernet Sauvignon are planted (making it the largest and arguably the most important area for Cab in Washington). It is an area larger than Napa Valley at 570,000 acres, though the vast majority of the agricultural use is in wheat and row crops. There are no sub-AVAs in the Horse Heaven Hills. But I didn’t mind the disparity. After the Seahawks broke the 49ers’ hearts on national TV, I needed to throw my California friends a bone. Mike and Dan chose their four wines based on individual tastings, while I conducted a group blind judging to reduce my choices from 24 wines to four. Mike, who had Napa Valley, chose some real heavyweights – both in reputation and price. Dan, who tends to be pretty price-conscious, was excited to bring some (relatively) inexpensive Sonoma Cabs to the table. Ellen Landis, owner of Landis Shores, an exquisite inn on Half Moon Bay. Ron Washam, longtime California sommelier and author of the award-winning HoseMaster of Wine blog. 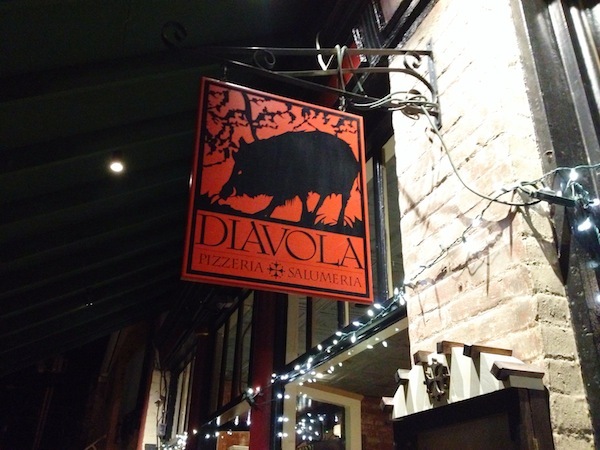 In January, we met in the northern Sonoma County town of Geyserville at a terrific Italian restaurant called Diavola. For fun, Mike dubbed this “The Judgment of Geyserville” in honor of the famous 1976 “Judgment of Paris” tasting that put Northern California on the world wine map. This would not be quite as epic, but we all knew we’d have a better sense of humor than the French experts after this one was over. We tasted the wines blind, meaning we didn’t know who made them until after the notes were taken and the judging was complete. It turned out to be an extraordinary judging. Of the 12 wines tasted, seven earned the equivalent of gold medals (“Outstanding” ratings in Great Northwest Wine parlance). Of these, two were from the Horse Heaven Hills, two were from Napa Valley and three were from Sonoma County. My four favorites were the Kendall Jackson, Jordan, Antica and Stonestreet – proving I was not influenced by a “local palate.” Indeed, my highest-ranking Horse Heaven Hills wine was the Alder Ridge. Different judges taste wines differently. However, in the Horse Heaven Hills Cab judging, I ranked the Januik and Den Hoed as my top wines (and they finished at the top). Going into the Geyserville judging, I was convinced these also would shine with my California compatriots. Travel can shake a wine. I drove to the California judging, meaning those wines were in my car for more than 850 miles. They probably got a little shaken up, and that might have affected them – perhaps mildly, perhaps severely. All the wines were young. We talked many times during the tasting that we would love to taste these wines again in four or five years – and we might just do that. Mike Dunne’s column in The Sacramento Bee. Ron Washam’s HoseMaster of Wine blog. My column in The Seattle Times. Expect the unexpected. Going in, I’m not sure anyone but Dan expected the top wines to come from Sonoma County – and the No. 1 wine being the least expensive of the 12. When the blindfolds are on, the playing field levels. I’ve long tasted wine by the creed of blind judging because it removes price and reputation from the equation. It might be too easy to become enamored by a $200 Napa Valley Cab because it’s supposed to be great. In quality, Washington holds its own in the ring with top regions from California. Those top seven wines were all pretty even, and they showed that all three AVAs perform well. The Horse Heaven Hills lives up to its reputation as an exciting region for Cab. With barely four decades to develop (and most of the growth coming in the past 10 years), the Horse Heaven Hills already is showing where it can go. Now with more development, new clones and innovative grape growing and winemaking, we have a solid scorecard for where we stand within the New World. What’s next? We all loved the concept of seeing how various regions stack up with each other, and there are plenty of opportunities, including Merlot, Syrah, Riesling, Pinot Noir and even Tempranillo or Sangiovese. We definitely want to continue to put on these “smackdown” judgings a couple of times per year. Let us know in the comments or by email what you think.